During this years Adobe Max 2018, Adobe has launched a new video editing application called Premiere Rush CC, which has been designed specifically for YouTubers and those who would like to publish video to the web without needing to get involved with more advanced desktop video editing applications such as Adobe’s Premier. The new Premiere Rush CC, is now available from the official Adobe website and is now available for iOS devices via the Apple App Store. Adobe will be launching an Android version of the new Premiere Rush CC application via the Google Play Store sometime during 2019. Check out the promotional video below to learn more about the new video editing application from Adobe. – An intuitive, all-in-one experience: Premiere Rush integrates capture, intuitive editing, simplified color, audio, motion graphics, and seamless publishing to the leading social platforms, all together in one easy-to-use solution. – Creative flexibility: Make videos that look great, sound great, and are uniquely yours with simplified editing, customizable Motion Graphics templates, color, and Adobe Sensei-powered Auto-Ducking, all powered by Premiere Pro, After Effects, and Audition. – Social Media Optimization: With sharing presets and one-click publishing, Premiere Rush automatically optimizes all your content for the different social media platforms that you publish to today — including YouTube, Facebook, Instagram, and Behance. – Access anytime, anywhere: Create a project on one device and publish from another with a consistent user experience across phone, tablet, and desktop. As with all Adobe applications the company offers a selection of payment plans and a free Premiere Rush CC Starter Plan which is available as a tester, providing users with access to all Premiere Rush CC features, use of desktop and mobile apps, and the ability to create an unlimited number of projects and export up to three projects. If you need to export more projects Premiere Rush CC is available for $9.99/month to individuals, $19.99/month to teams, and $29.99/month to enterprise customers. 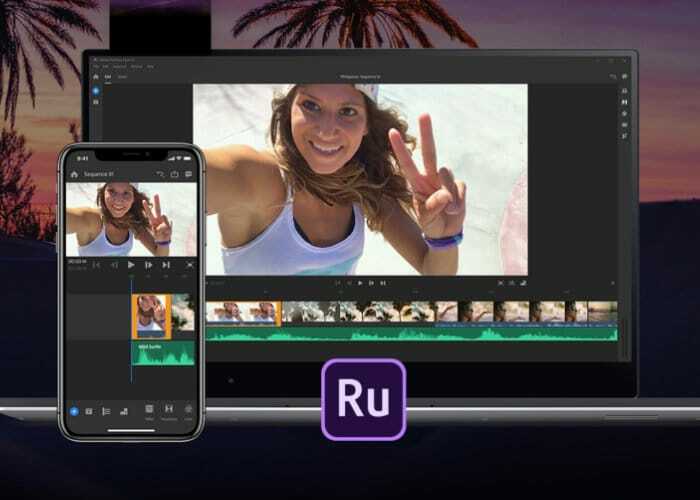 Premiere Rush CC is also included as part of Creative Cloud All Apps, Premiere Pro CC single app, the Student plan, and comes with 100 GB of CC storage. Additional storage options, up to 10 TB, are also available for purchase.